“Half our labor and all our lift-time is spent dealing with the used oil”. 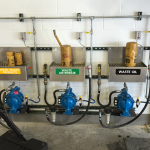 Getting cars off the lift fast depends on how well you handle the used oil. Have enough drains so your Techs never stand around waiting for one. 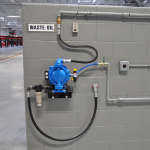 Locate the pump out stations to encourage techs to actually empty the drains. A well designed station will stand up to heavy use and stay clean. 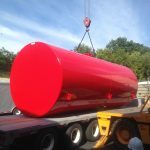 Size your storage tanks to get you through the heating season or make regular pick-ups attractive to your oil recycler. Used oil isn’t a valuable inventory item but it does have the largest potential to cause environmental damage. 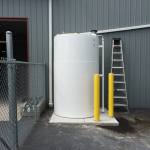 Large volume tanks in sensitive areas need to be in good condition and properly installed. 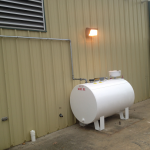 Overflow protection, emergency vents and secondary containment are critical to storing used oil safely. The single largest cause of oil spills is overflowing a tank. 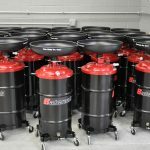 Equip your tanks with the Eliminator, the best overflow protection available.